Gioama stared in dismay at what Quui said. Suddenly a shiver ran down his spine, and he instinctively turned around to survey the woods around them. A low chuckle made him jump, and a Halloween Lupe stepped out into light of the town. Crimson eyes glinted maliciously. A shudder ran through Gioama as he saw her, and he stepped back slowly. Beside him Quui just stared. The Werelupe smiled. She took a step closer. Behind her the dead branches of bushes rustled and parted as another Werelupe stepped out to join her. She was momentarily distracted, turning to face him with bared fangs. The Werelupe named Daggerclaw looked confused. “I think I got lost,” he said huskily in a guttural voice. But no matter how guttural it was Gioama still recognised it. He gasped in surprise. The other one nodded. “Yes, Redfang,” he said, turning to leave. Just as his form was melding back into the trees, Gioama found his voice. “Fanger?” he asked incredulously. Daggerclaw froze and turned slowly. Redfang stiffened and turned on Gioama, but he was only watching as his brother came slowly towards him. Redfang’s eyes seemed to be panicking, her calm pose being replaced with something else. Gioama watched dismayed as his brother bounded away obediently. He was sure that he had seen a flash of green light in his eyes amongst the red. That had to mean something. But Redfang had stopped the green taking root. There was something strange going on. Why hadn’t Fanger recognised him? He was jerked out of his thoughts by Redfang’s growl as she advanced. Quui looked about to bolt, but then he lowered his head shakily. Gioama unsheathed his claws, waiting for what would come next. Redfang’s eyes glinted. The only reply was a loud howl as the Werelupe cannoned towards him. Minotaur soon found himself in the centre of the town, wondering what to do next. The townsfolk had erected some sort of makeshift barrier, and were calling some sort of roll. “Is Quui here?” a voice shouted over the clamour. The Halloween Ruki holding the clipboard frowned and marked something next to a name. Minotaur tapped him on the shoulder. “I saw Quui outside the town,” he said helpfully. The Ruki stared at him. “Who’re you?” he asked rudely. A chill crept over him as he realised the implications of Quui not being there. Gioama had been with the Uni. Which only meant... He spun around and frantically searched every face, but the excitable fire Kougra was nowhere to be seen. “Of all the things...” Minotaur muttered. He had begun feeling protective over his little brother, and now he had just abandoned him to who knew what. Jenn was going to have a heart attack. He ran a paw through his mane and moaned. Why couldn’t Kieavin be here? She was the one that wanted to fight in the Battledome, and she was the one carrying the shield. Why can’t they all be hear? he thought exasperatedly. He gave up wishing for the rest of his family and turned to face the outskirts of town. On the very fringes shadowy shapes paced restlessly, and Minotaur felt a deep chill. There was no way either Quui or Gioama could get through them. Around him a hush slowly fell, until all that could be heard was the rustling of the wind and the steady pawsteps of the Werelupes. He stiffened as the shadows began to head towards them, and looked around for some sort of weapon. Nothing. He growled and clenched his paws. The shadows came closer, and stopped at the barrier, which seemed to be mix of strong, dead boughs of trees and furniture. Minotaur could here them pawing at the wall, knocking things out of the way as they disassembled it. The Woods were silent as the townsfolk waited. Then suddenly there was a howl. Immediately the Werelupes leapt forward. Minotaur ducked behind the Ruki to save himself from most of the brunt. Then he seized the Ruki’s clipboard and brought it down over the head of a shaggy brown mass of fur. He let go almost straight away, out of reach as the Werelupe clawed at him. Around him similar battles were being fought, but Minotaur didn’t hang around for long; at the first chance he got he broke free. He paused for a few seconds to get his bearings and to decide which direction Gioama was. Then he loped towards it. A sudden spray of dirt in his eyes caused him to stumble and fall. He rubbed his eyes furiously, all muscles tensed. When he at last managed to open them without pain he saw a Werelupe just opposite him, regarding him thoughtfully. Shadows fell on the Werelupe, cast by the near-full moon, but blocked out by the branches overhead. Minotaur struggled to see it clearly. The only thing he could make out were two gleaming red eyes. “Gioama!” Minotaur cried out in relief. He began moving, but at his shout the Werelupe’s head swivelled and glared threateningly at him. Both of them remained still, then Minotaur ran towards his younger brother. 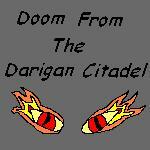 The fire Kougra saw him and his eyes widened. “Minotaur, Fanger’s here,” he said desperately. The Werelupe growled low in his throat, and his eyes narrowed mistrustingly. “You’re trying to trick me,” he growled in Fanger’s voice, taking a step closer. Minotaur stared straight into his brother’s eyes. They were a deep red, and they had no recognition in them, only suspicion and something that he couldn’t recall. He couldn’t see a pupil... wait. Forming in the centre was a swirl of green. The Werelupe’s brow furrowed. “Fanger...” he said slowly. “Gioama... Minotaur? Do I know you?” When he looked up, his eyes were nearly three quarters green. A sudden pain exploded on the side of his head, and he heard Gioama cry out in shock. Then he was lying on the ground, stars playing in front of his vision. When he at last managed to sit up he saw a massive Werelupe standing over him. Twice the size of both the other Werelupes, he was much worse to look at, and he exuded a rank smell that sent Minotaur reeling. He saw Gioama in a similar position on the ground and picked himself up, hoping that he looked haughty, glaring straight into the Werelupe’s eyes. It was a bad move – he could feel himself being dragged into that gaze, into the deep crimson. And he couldn’t break free. “Daggerclaw, leave,” the Werelupe ordered, not moving his gaze at all. The giant Werelupe’s eyes narrowed into slits. “Leave,” he commanded. It seemed an almost reluctant move to the Werelupe when he moved his eyes away, facing Fanger with a snarl. “Don’t disobey me,” he growled. Fanger shifted slightly averting his gaze. Then he made as if to leave, but Gioama stood in front of him, tall and defiant. Fanger paused. “Home?” His eyes flashed green, then red overtook them again. “It can’t be home when it doesn’t feel like home,” he snarled, bounding into the trees. Minotaur was left with Shadowheart, who grinning evilly at him. “You can’t get him back. He’s part of my family now. And after the Full Moon it will be impossible.” He sounded overconfident, and Minotaur felt a stir of irritation. Despite the fact that Shadowheart could knock him out as easily as lifting his paw, he snapped. He half expected Shadowheart to aim a blow, but the Werelupe just leered. “Who said I was sane?” he said.